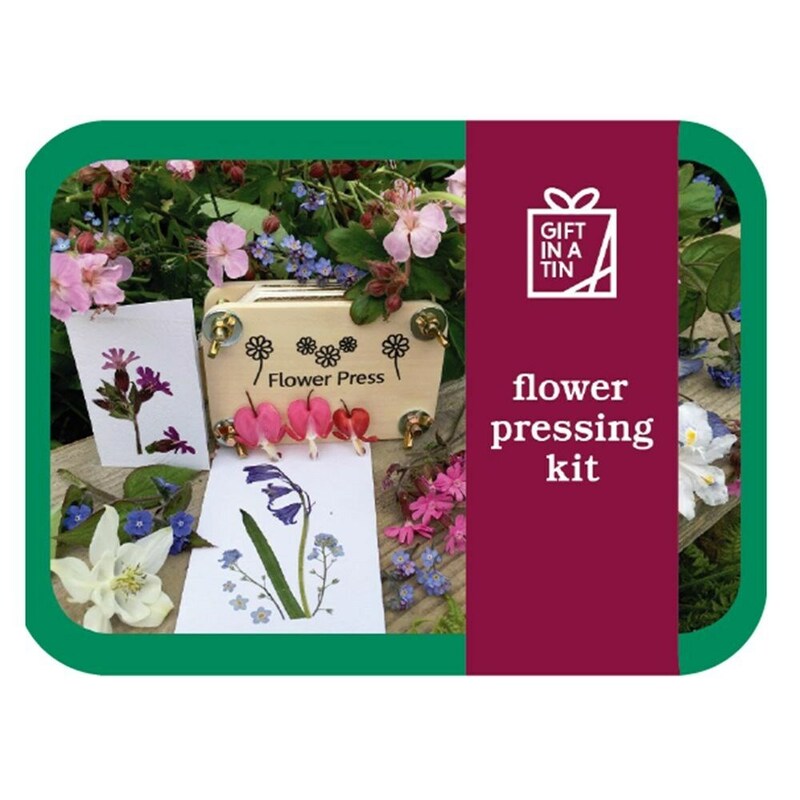 Buy Flower pressing gift set: This great flower pressing kit comes complete with a miniature flower press, flower cutters and pressing paper all in a gifting tin. 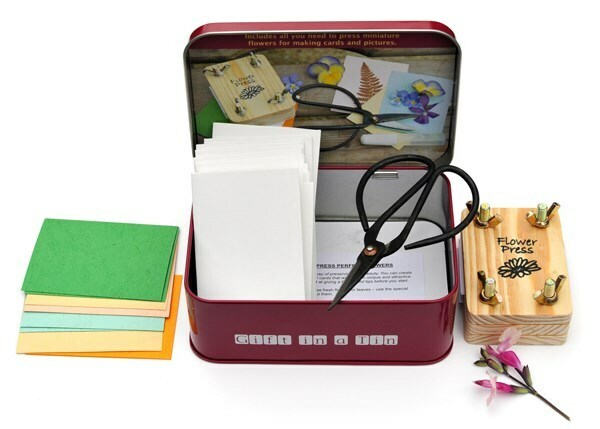 This kit allows you to create your own miniature cards and pictures using pressed flowers. Includes cutters, press, cards glue and instructions to help you along the way. This great flower pressing kit comes complete with a miniature flower press, flower cutters and pressing paper all in a gifting tin. 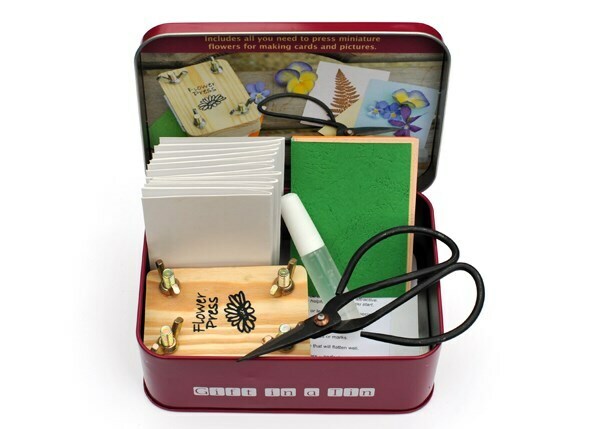 This kit allows you to create your own miniature cards and pictures using pressed flowers. Includes cutters, press, cards glue and instructions to help you along the way.